The "Prous Institute-Overton and Meyer Award for New Technologies in Drug Discovery" was established to encourage innovation and investigation in technologies related to drug discovery. 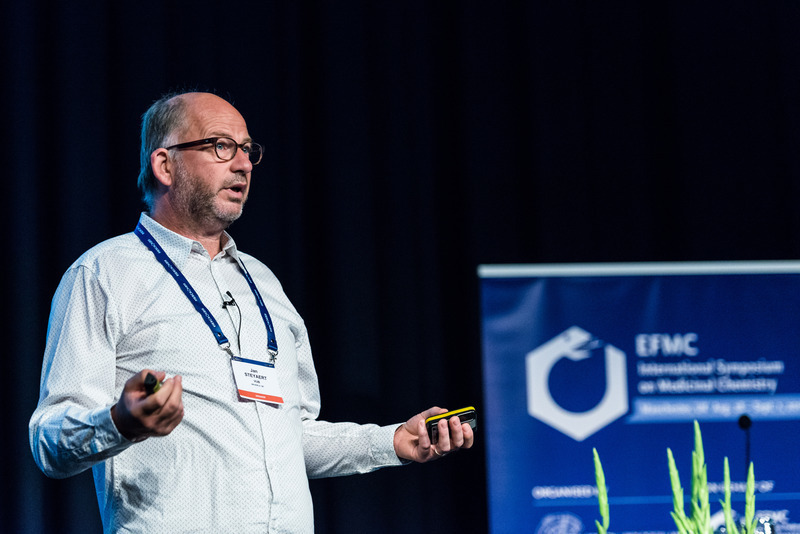 The Award is given biennially to acknowledge the discovery, evaluation or use of a new technology, and consists of a diploma, € 7.500 and an invitation to present a lecture at an EFMC-ISMC symposium. Previous recipients were: Prof. Jan Steyaert in 2016, Prof. György Ferenczy and Prof. György Keseru in 2014, Dr Harren Jhoti in 2012, Prof. Klaus Müller in 2010, Prof. V. Ley in 2008, Prof. D. Neri in 2006 and Prof. C.O. Kappe in 2004. For his major contribution to the development of chemical proteomics, and in particular the introduction and refinement of the activity-based protein profiling (ABPP) technology. This novel approach allows the study of enzyme function in complex systems: This, and the efforts of Prof. Cravatt to identify tools for chemical biology, led to the identification of novel therapeutic targets for the treatment of human diseases of the central nervous system. For his pioneering work in the field of nanobody-enabled structural biology. His nanobody technology led to X-ray crystallographic structures of GPCRs locked in an agonist-bound active conformational state and to the first view of a GPCR transmembrane signalling complex. These novel GPCR structures are now finding widespread use in the discovery of novel drugs. For their groundbreaking research to understand the enthalpic efficiency of ligand binding which has had a significant impact within the medicinal chemistry and biophysics communities and led to changes in practices both in lead optimization and fragment based research. By utilising detailed biophysical studies on a wide range of compounds the awardees have enhanced our fundamental understanding of ligand-target molecular interactions and enhanced the body of knowledge supporting the importance of better balancing of enthalpic and entropic contributions. This understanding has important consequences in the optimization of lead compounds and has made a vital contribution to the development of fragment based approaches. Both awardees have an outstanding track record of publications and patents culminating in a series of recent joint papers. 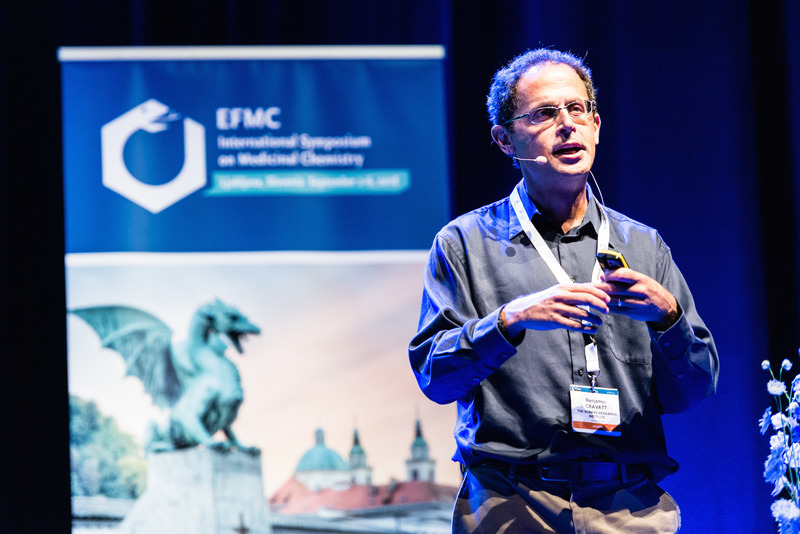 To encourage innovation and investigation in technological development related to drug discovery, the EFMC awards the Prous Institute – Overton and Meyer Prize to the author of discovery, evaluation or use of new technologies. This award acknowledges Dr. Jhoti’s pioneering research which has led to the development and successful application of fragment-based lead finding strategies in drug discovery, an approach which is now widely and increasingly used throughout the pharmaceutical industry and in academia. The brilliant results achieved by Dr. Jhoti are documented in more than 60 publications. Dr. Jhoti is not only a highly creative scientist, but also an accomplished entrepreneur whose work has culminated in the foundation of Astex, a Biotech company which has developed 6 fragment-derived compounds into clinical trials so far. This award acknowledges Professor Ley commitment to the development, discovery, evaluation and use of new technologies for drug discovery. These include early adoption of ultrasound and microwave techniques for chemical synthesis, the use of design of experiment software for reaction optimization, the multi-step use of immobilised reagents, scavengers and catch and release concepts, the generation of encapsulated catalysts for cleaner reaction processing, the use of immobilised enzymes in synthesis, and the impressive advances in the area of flow chemistry and micro reactor technology. The brilliant results achieved by Prof. Ley, documented by over 630 publications in the area of new synthetic methods and their application to biologically active molecules, give him a great visibility in the field of medicinal chemistry and drug discovery. 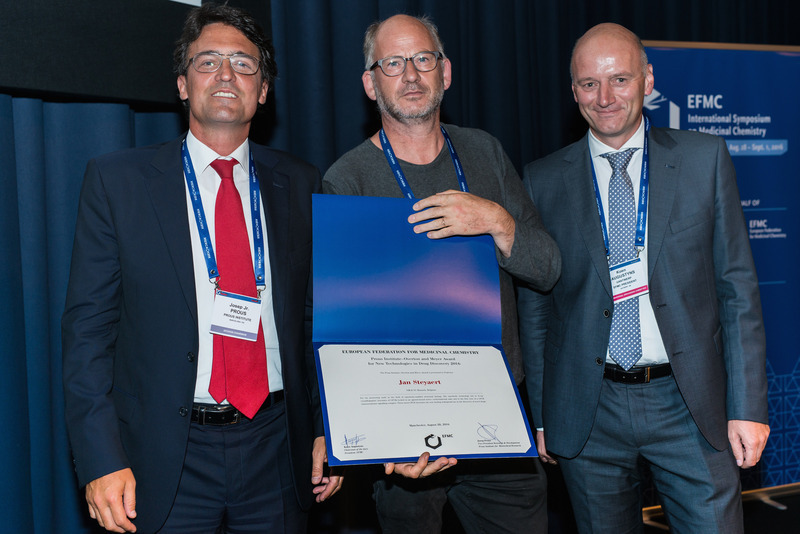 Professor Neri receives this award for his pioneering work establishing synthetic antibody libraries obtained employing phage display technology. Although this technology is still in its early stages, it holds significant potential for the discovery of new LMW binders to variety of protein targets. The award was granted to Prof. C. Oliver Kappe, Karl-Franzens University, Graz, on the basis of his outstanding scientific curriculum vitae. In particular, his work on microwave-assisted combinatorial chemistry was considered highly innovative and fruitful. 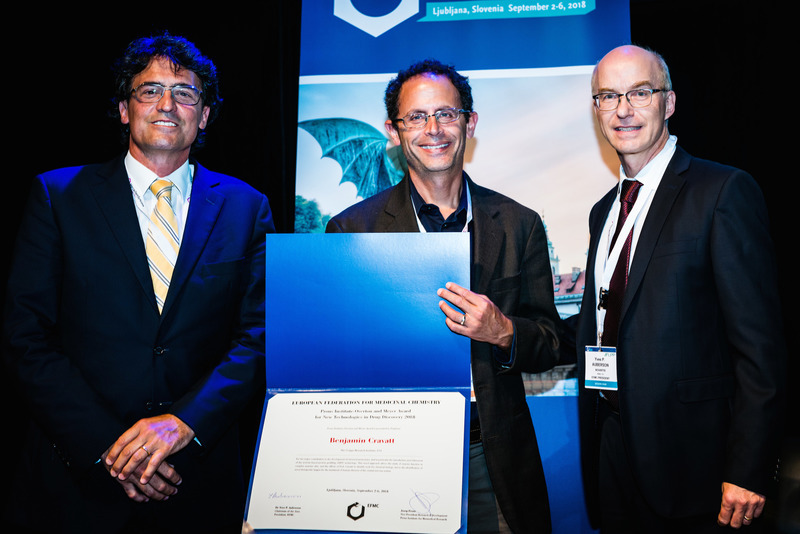 The Award was presented during the Opening Session of the XVIIIth International Symposium on Medicinal Chemistry, on Sunday, August 15, in Copenhagen, Denmark.